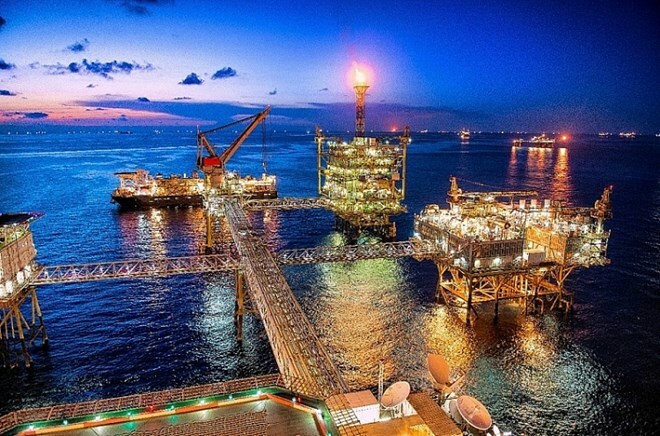 Hanoi (VNA) - The Russia - Vietnam oil and gas exploration joint venture, Vietsovpetro, reported an oil and gas production output of 609,700 tonnes in the first two months of the year, exceeding its target by 6.7 percent. Output at the joint venture’s Lot 09-3/12 in the new Ca Tam field from the outset of the year was estimated at 23,400 tonnes, or 115.9 percent of the set plan. To date, Vietsovpetro put five wells into operation, namely Lot 09-1 of 1227/BK-14 well and wells 2Х, 3Х, 4Х/СTC-1 and 101/ CTC-1 Lot 09-3/12. The Ca Ngu Vang field was safely operated with an exploiting output of 259,970 barrels with 250,000 barrels exported. In the two-month period, Vietsovpetro earned 291.7 million USD in revenue, equal to 111.3 percent of its plan, and paid 118.8 million USD to the State budget, or 110.7 percent of its plan.